All people, whether young or old, wish for a healthy and fit body without any extra flab. One of the ways to keep your body in good shape and well toned is to eat healthy and also follow a healthy lifestyle. Proper exercise is also necessary. The age old notion that starving the body can cause weight loss is now considered unhealthy. Nowadays many diet plans are introduced, which aim at healthy eating habits and keeping the stomach full, but reducing the intake of fat and calories. People who follow weight loss diet are now advised never to remain hungry. There are a number of weight loss plans and diets that help you to get a healthy body. Many of them are very popular with the people. One such weight loss system that is a hit with the masses is Sensa. What is Sensa Weight Loss System Plan? Another name for Sensa is ‘Sprinkle Diet’. It is a special way of losing weight without taking any serious steps. Here you need not follow a fixed chart that tells what to eat and what not to eat. You do not have to change your eating habits when you follow this system. You also need not reduce the intake of food and starve your body to get rid of extra pounds. There are no special foods that you have to consume in this system. You can consume whatever food you feel like to have without any fear of increasing your weight. So you can say that losing weight through this program is as easy as you sprinkle a pinch of sugar or alt on your food. Here all you have to do is to sprinkle your regular foods that you consume with Sensa food sprinkles. These sprinkles are crystalline food flakes that are devoid of sodium, sugar and calories. The main ingredients with which it is made are tricalcium, silica, maltodextrin and flavorings. Flavorings are for increasing the aroma of the foods and to provide it a little sweet or salty taste. This makes it more acceptable for customers. Some of the popular and tasty flavorings of Sensa are tacos, cheddar cheese, ranch dressing, onion and so on. Sweet flavors include malt, banana, cocoa, strawberry and many more. Flavors add special aroma and taste to the food. So you start liking food with the Sensa crystals sprinkled on the food. Sensa is a brand diet and it is created by an American neurologist and psychiatrist, Dr. Alan Hirch. it was brought to light after 25 years of research. This food focuses mainly on the sense of smell. When you have food with Sensa sprinkled on it, it will make the smell receptors in your body active and thereby stimulate the brain to provide you a feeling of fullness. This is a psychological impact and this reduces your craving for food, thus lowering the food intake. As a result, you take in less calories and this leads to loss of weight and a well toned body. The flavors added to it make you give more attention to the smell and taste of the food and therefore develop better eating habits and practices. According to the promoters of this crystal, you can lose up to 30 pounds of your weight in six months. 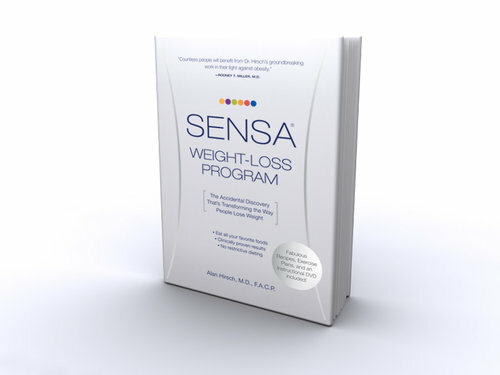 Does Sensa Weight Loss Process Work? Sensa is a monthly weight loss system and is very effective for losing weight. It is a program that you have to follow for 6 months. Each month you have to use a new sprinkle, which contains natural as well as synthetic ingredients and also different tastes. By having the specified sprinklers each month, you can lose your weight gradually and in a scientific way. You get these sprinklers in containers. Each container has a number, which tells you in which month you have to use it. For the convenience of the users, two shakers or containers are provided every month, so that you can keep one container at home and take the other container with you wherever you go. This ensures that you do not miss taking it every day. By regularly using this sprinkler with your food, you can reduce the calorie you take in daily and also reduce you weight considerably. After six months of using it, one cycle is completed. But you restart it and get the maximum effects from it. Using Sensa flakes is one of the easiest methods to lose weight and remain healthy and fit. You will get a flab free body that you will be proud of. So, you can see that Sensa is the easiest and simplest way to lose weight effectively. If you have tried all other methods and failed to achieve the desired effects, try using Sensa crystals and you are sure to benefit from it. Follow the instructions given on the container and have a healthy food that contains all the essential nutrients your body needs like proteins, minerals, vitamins and so on. Have lots of vegetables and fruits and drink lots of water. Taking proper exercise is also necessary. You can practice yoga and meditation to calm yourself and become stress free. Sensa is approved by FDA and is safe for consuming. It contains all the ingredients that are found in the food we consume daily. It also contains soy and derivatives of milk. So, if you are allergic to soy or lactose, you must seek the advice of a medical practitioner before you start consuming it. People who have special illness, those who are taking certain medications, nursing mothers and pregnant women must also consult a doctor before you follow this program.